The annual Stock Market Investor Profile study of the Philippine Stock Exchange showed that the total number of stock market accounts, which counts both online and traditional or broker facilitated accounts, went up by 11.4 percent to 585,562 accounts from 525,850 in 2012. Retail investors accounted for 96.2 percent of the total accounts while 3.8 percent were institutional accounts. In terms of local and foreign classification, the accounts were 98.5 percent local and 1.5 percent foreign. The number of online accounts in the Philippine Stock Market grew by a record of 65.3 percent in 2013. The number of online accounts totalled 129,255 by the end of the year. Of the total online accounts, 99.6 percent or 128,727 accounts were retail accounts while the rest were institutional accounts. Local accounts comprised 98.3 percent or 127,085 of the total online accounts while the remaining 1.7 percent or 2,170 were foreign accounts. A total of 14 trading participants providing online trading services took part in the survey. Trading activity from online investors also grew in 2013 with their share to total number of trades in the stock market growing to 29.3 percent in 2013 from 28.2 percent in 2012. In terms of value traded, online trading turnover went up by 23.9 percent in 2013 representing 6.1 percent of total regular market trades. "We are very encouraged by the results of the study. 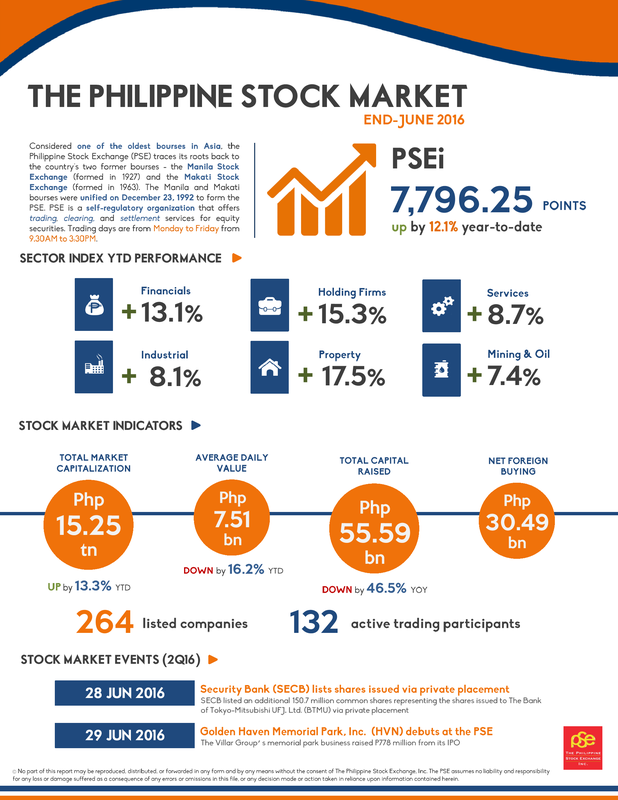 It shows that more Filipinos are starting to see the value of investing in the stock market. This also means that more Filipinos have been able to participate in the impressive run of the market and the overall growth of the economy," said PSE President and CEO Hans B. Sicat. "Our data on online account and trading activity show the growing preference for online platform by investors. We are optimistic that this number will continue to grow especially as more brokers offer online trading," Mr. Sicat added. In April 2012, the Exchange launched PSETradex, the online trading platform that it offers to trading participants who wish to provide online trading facilities to its clients. Since its introduction, a total of six brokers have gone live with their online trading services. 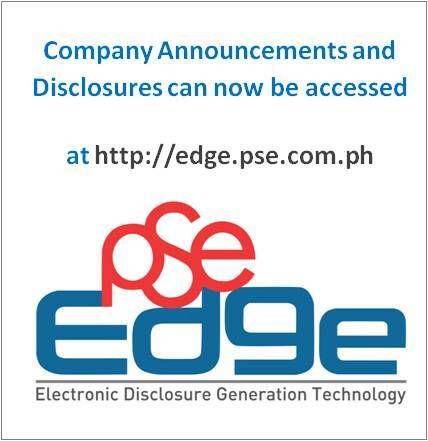 BA Securities and Coherco Securities launched their online trading platforms in 2013 while Maybank ATR Kim Eng, Optimum Securities, DA Market Securities and Regina Capital Development Corporation offered online trading using PSETradex this year. "While we are pleased to see growth in our investor base, we are a long way from our target of having as many Filipinos invest. On our end, we will continue to provide venues for investors to keep learning about the stock market through our conferences, free seminars and our PSE Academy website," noted Mr. Sicat. The investor survey also showed that 57.9 percent and 42.1 percent of the total accounts were held by male and female investors respectively. In terms of income scale, individuals earning less than P500,000 annually comprised 37.3 percent of total retail investors while those earning more than P1,000,000 a year accounted for 33.3 percent of the retail investor base and the rest were retail investors who earn between P500,000 and P1,000,000. Individuals aged 30 to 44 accounted for 34.5 percent of retail investors followed by those aged 45 to 59 which accounted for 34.0 percent. Investors aged 60 years and above comprised 19.6 percent of the total retail accounts while those in the 18 to 29 age group, represented 11.9 percent of the retail investors in the survey. The survey also showed that majority of the retail investors or 77.7 percent are still concentrated in Metro Manila. Investors from Luzon, excluding Metro Manila, accounted for 13.2 percent, while those in Visayas and Mindanao comprised 5.0 percent and 1.7 percent of the total, respectively. Meanwhile, overseas investors comprised 2.4 percent of the retail accounts, which is higher than its share in retail accounts of 1.6 percent in 2012. Of the total foreign retails investors, 35.7 percent were Chinese while 21.1 percent were Americans. Other nationalities that have notable participation in the market in 2013 were Europeans, Japanese, Singaporeans, Taiwanese and Koreans.